Surely someone has spent a day at Disney World just for the purpose of recording drama. Moms design monogrammed shirts with cute Mickeys and order them in advance just in time for departure to the "Happiest Place On Earth". Dads purchase iPhone apps to get info on wait times, fast passes, and crowd forecasts. Experienced friends give you tips, guide books, and inside scoops on all things fairy tale. and then you get there. We all want to make memories with our kids. Our first time ever to find the magic. We had a great time. We laughed. Listened for foreign accents. Took fun pictures. Smiled. 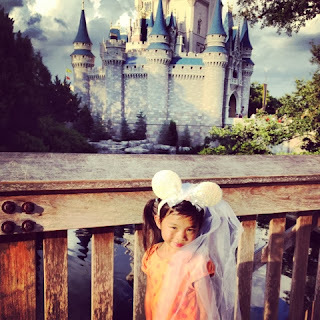 We made the most of moments like all families hope to do at Disney. We even have the Shutterfly book to prove it. What you wont see in the book is the drama that is lurking around every cobblestone corner. Kids throw raging fits. Parents do too...worse than the kids because they are mad. but the dream isn't coming true. Ya'll totally know what I'm taking about. I mean, yes the parades are beautiful and made me teary eyed and the sweet moments with the kids were super sweet. Kris and I loved paying $25 dollars for Mickey shaped ice cream. The excitement of each day really was great fun. I will confess that I was ruined the night Molly and I got into a fight on the bridge of Cinderella's castle. Listen, I was so excited to see the light show and watch the fireworks. I was 37 and had never seen such magic. My princess was the one throwing the fit...and I did too but mine was worse. We missed the whole show as she screamed, "I WANT DADDY" of course it had to be that. I was that parent everyone was watching and she was that girl everyone was making comments about. I knew better than to get my hopes so elevated that the crash would be oh so dramatic. We shouldn't be surprised when people, things and especially places of this world disappoint. Putting a person or place on a pedestal is asking for drama. Thankfully we can hang on even in trials knowing that the reward is the crown of life not a pair of Mickey ears! Anyone want to go to Orlando?